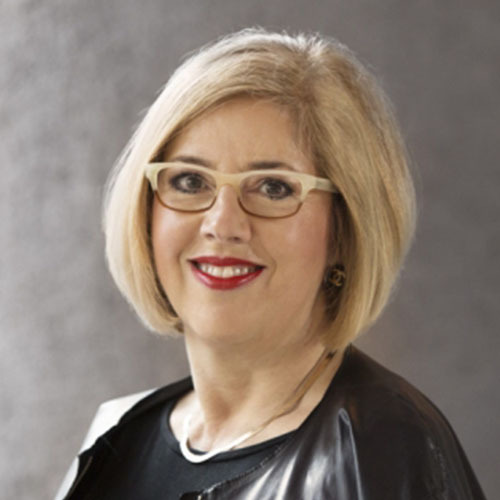 K. Shelly Porges is Co-Founder and Managing Partner of The Billion Dollar Fund for Women, a global consortium of venture funds pledged to invest in women-founded firms. She is also a Board Member of the Global Banking Alliance for Women and on the Advisory Board for Cornerstone Capital, Mindshift Capital and Different Funds. She is also serves as an Expert on Call for Georgetown University’s Entrepreneurship Program. Shelly also served as President of the North American Jury for theCartier Women’s Initiative Awards and as the former Senior Advisor,Global Entrepreneurship Week. (GEP) at the U.S. State Department, a program she expanded to almost 150 countries, under Secretary Hillary Clinton. Prior to joining GEP, she launched the State Department’s Global Women’s Business Initiative to promote women’s entrepreneurship worldwide. Before joining the State Department, she had a distinguished career in the private sector, including both corporate and entrepreneurial ventures. She served as executive head of marketing for American Express Canada and as chief retail marketing officer for Bank of America during a historic turn-around. Shelly then founded or co-founded a number of start-up ventures including one sold to Wachovia Bank; Third Age Media, the leading Internet portal for baby boomers; Scudder Weisel Capital LLC, a joint venture between Thomas Weisel Partners and Zurich Scudder Investments, one of the largest asset managers in the world; and Global Payments Experts LLC, a payments industry advisory firm. Shelly also serves on the International Business Advisory Council for the President of Cyprus and the advisory boards for early stage companies Tiatros, a medical solutions platform; Distributed Sun, a commercial solar company and Cornerstone Capital, an institutional investment firm for impact investors. She was also Co-Founder of Entrepreneurs for Hillary and served on the National Finance Council of Hillary for America. Shelly holds both a BS with Honors and MPS degree from Cornell University.